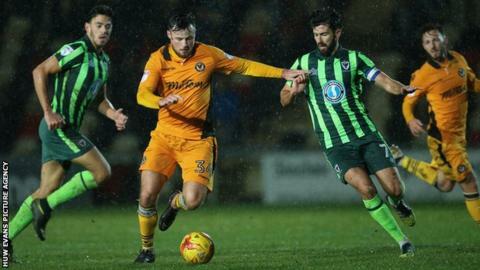 Newport County bowed out of the EFL Trophy with victory over AFC Wimbledon at Rodney Parade. Captain Scot Bennett opened the scoring for the Exiles after five minutes, netting from close range following a free-kick. The second half was delayed when referee Andy Davies had to be replaced after he sustained an injury. Defender Jazzi Barnum-Bobb sealed Newport's victory with five minutes remaining. Newport were already out of contention while but AFC Wimbledon were already assured of a place in the second round.